Childcare qualifications can vary depending on where the nanny did their training. For British-qualified candidates, it is usually with a B-TEC, NNEB, DNN, CCE, NVQ level 1-3 or Montessori qualification. 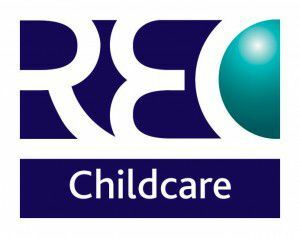 These are the main UK childcare qualifications, however there are further recognised qualifications that nannies may have and full details can be found here. It is our aim to only send CVs that meet with your specific requirements. We will discuss your criteria with you in depth and once we have suitable candidates we will send through the CVs, references and certificates. Once you have had the opportunity to review the CVs, you might wish to discuss the details of any candidates of interest with us. We can answer most questions for you and can arrange telephone or face to face interviews for those candidates of particular interest. Which hours the nanny/ governess will be required to work and your baby-sitting requirements. The duties the nanny will be expected to do. The salary and holiday entitlements you are offering. Additional benefits, such as use of car. House rules such as use of telephone, visiting friends and boyfriends, meals and eating arrangements. Structure the interview by explaining the job you are offering and describing your routine and expectations. Find out the nanny’s views on childcare and give the nanny the opportunity to ask questions and look around the accommodation. Here are some guideline questions that you may wish to ask. Always remember to take notes so you can reflect on the answers later. Why are you interested in childcare as a career? Why are you looking for a position and how long are you hoping to commit to the next position you take on? In your opinion what qualities make a good nanny? What specific training have you had? Can you give an example “wet day” routine? Are you creative/resourceful? Give examples. Do you enjoy cooking and what are your views on nutrition? How would you discipline bad behaviour? How would you respond to an emergency situation? (Give an example). Are you willing to work additional hours? Do you have a partner or friends that will visit? If there is a gap in the CV, ask what the nanny was doing for that period of time. Once you have interviewed a candidate, discuss your thoughts with your consultant. If you’ve missed anything then the consultant can then find out this information for you. Decide if you feel the nanny is someone you would like to ask back. It may be appropriate to ask them if they would like to come for a second interview during the first interview but for some nannies and families they will want to take time to reflect. We will speak to the nanny and give them your feedback. Nannying is not a’ one size fits all’ position and is extremely personal. There may be a number of good reasons why you or the nanny may not feel the fit is right. Be honest regarding your feedback especially with your consultant. This will ensure we understand what you do and don’t like so we can send you the most appropriate candidates for your specific requirements. It is important to introduce the most suitable prospective nanny to the children before making the final decision. Observe the interaction between the children and the nanny as you will learn a lot about them from this. Think carefully as to whether the person is right for your family. Would you feel entirely happy leaving the children in their care? Would the children feel happy to be left with them? Also, consider whether you share similar views on child care. Once you have found a suitable nanny, offer them the position as soon as possible. We recommend both a verbal and written letter of offer which needs to confirm: when the position starts, the children’s names and ages, the days and hours to be worked and the salary agreed upon. A sample copy can be supplied by your consultant and should include that the offer is made subject to reference checking unless you have done this already. Checking dates of employment, duties undertaken and reasons for leaving. Whether the referee would actually recommend them. The first copy of the contract sent to the nanny will then be looked over, signed and returned to both you and your consultant. Should there be any discrepancies then the nanny can either advise you or the consultant for rectifying. For further information on paying the nanny’s tax, we recommend Nanny Tax – http://www.nannytax.co.uk or you can check the costs at HM Revenue & Customs: New Employers on their website – http://www.hmrc.gov.uk/newemployers/index.shtml. Employers who have staff working from their home are responsible for taking out Employers’ Liability Insurance (ELI). It is important to let your insurers know that you are planning to employ a nanny to work from your home and ensure you have the necessary cover within your household insurance policy or obtain additional cover.